If you follow the news, this item was probably on the back page (if at all unfortunately), but the story remains important for the future. The Kurds have been an item during the struggles in Iraq from the beginning. During the civil wars, Kurds have proven to be the best fighters. 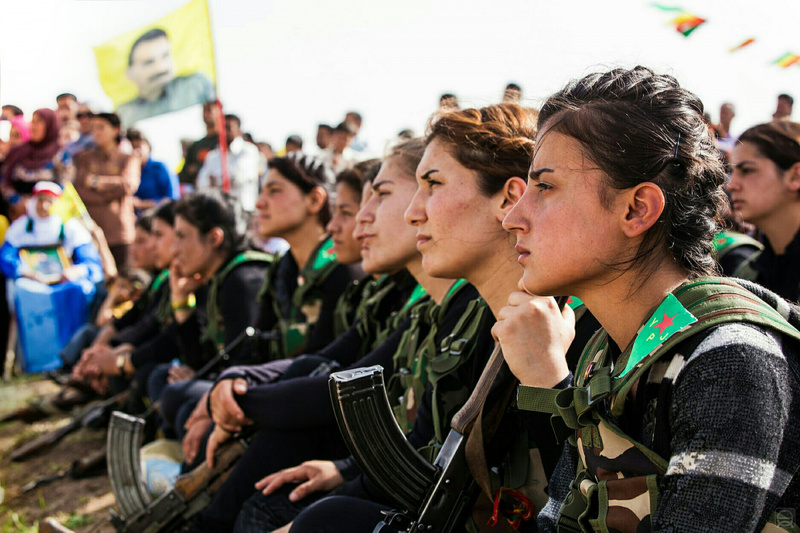 In contrast to the large array of groups supposedly fighting ISIS that ended up shooting each other, the Kurds stayed on target with women fighting alongside the men. The big news is the Kurds Regional Government conducted an independence referendum on September 25 in which the citizens overwhelmingly voted for independence. Kurdish territory is adjacent to southern Turkey and in the northwestern sector of Iran as well as northern Syria. Their language is a sub-group from the Iranian language. The Kurds believe they descended from an ancient Iranian people dating back at least to 612 BCE when Nineveh was the capitol. Kurdish nationalism emerged after World War I with the dissolution of the Ottoman Empire. With Iran, Russia, and Syria (as well as the USA to some extent) caught up in a struggle in the region, Kurdish interests have become much more significant. Hezbollah also has a part in conflict, having recently said that Kurdish independence would be a victory for the USA and Israel. For decades, Israel supported Kurdish aspirations. Should Kurdish hopes be diminished or defeated, Iran would feel emboldened. The truth is that the Kurdish region plays a key role in stabilizing Iraq. On the other hand, Turkey does not want to see the Kurds become independent and break off politically and geographically from their country. Consequently, the powers in the Middle East are divided over what to do with Kurds attempting to rise above the vested interest and seek their own path. Vacillations by the United States have greatly reduced American influence. President Obama virtually stepped out of the region opening the door for unparalleled Russian involvement. No one is sure what President Trump will do because Trump probably still has no idea what he will do. Washington certainly doesn’t want another crisis in the Middle East or in Iraq, but unless it acts quickly, Iranian meddling and arrogance will only escalate. Keep your eyes on the Kurds. There’s much more to come. explores the meaning of pain and suffering. Each chapter offers helps!